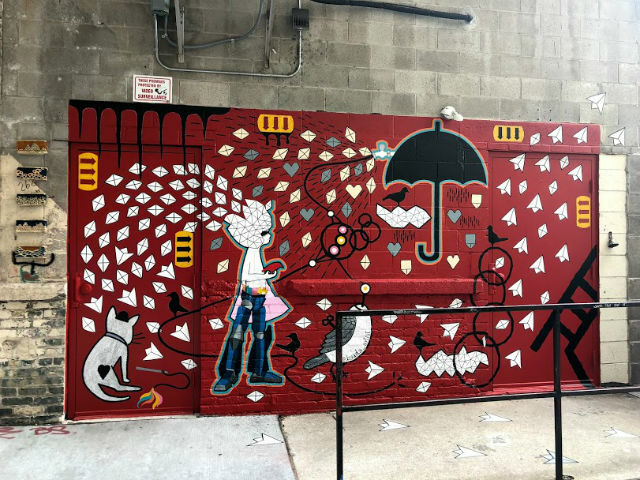 Emma Daisy Gertel, the artist of this piece, finds inspiration from her experience and education in fashion design, community arts and cultural development. 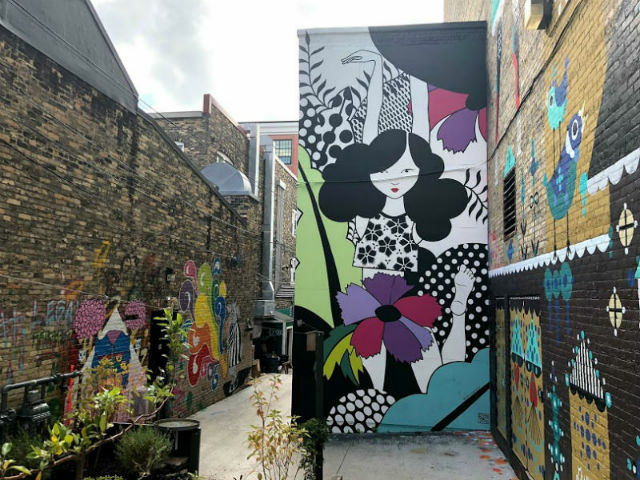 Published Sept. 28, 2018 at 10:01 a.m.
Black Cat Alley has six new, exciting murals as of late – three of which ("Fraction Mother Subtract Children," "Hope" and "We Are One") installed as part of the Mural Festival for Doors Open Milwaukee last weekend. 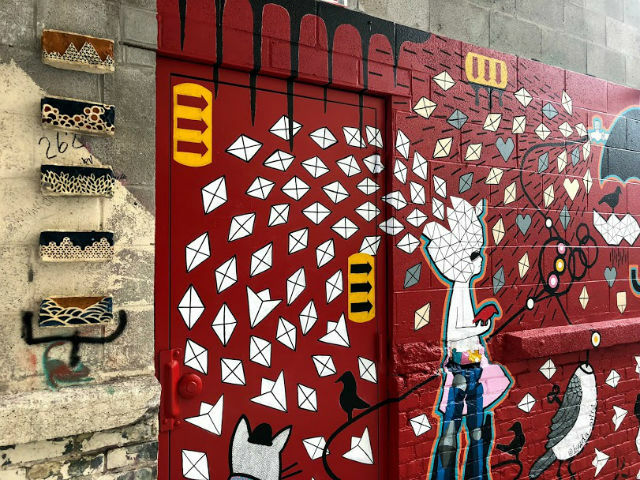 Here is a look at all of the new murals added to Black Cat. The artist of these five small bricks, a Watertown native, repurposed salvaged bricks into art and created hand-carved linoleum block prints. The bricks line the side of "Hope" by Byada Meredith, and are colorful and geometric. The award-winning artist was inspired by her experience and education in fashion design, community arts and cultural development. Her inspiration definitely shows in this piece. The vibrant, cool color scheme adds pops of excitement and compliments the black and white themes throughout the piece. Kasir uses his work as a personal narrative and is typically about coming to terms with the challenges of family, life, love and loss. This piece of his is no exception. 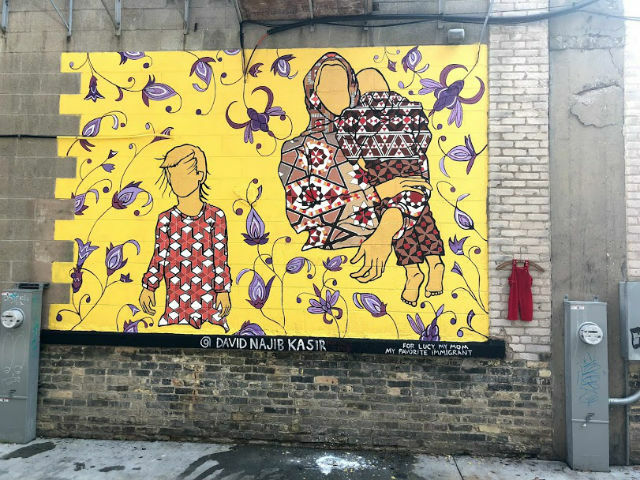 This mural is very literal; the children, one separated from the other, along with a mother, are painted in geometrically patterned clothing, which goes along with the fractured theme. 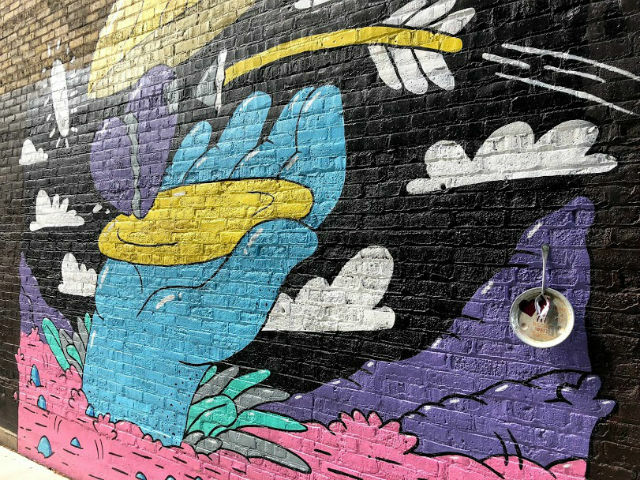 My interpretation of this mural is that it is about the recent events of children being separated from their parents. A pair of red corduroy overalls hangs on the side of the work with the title and year of the piece. Perhaps the most powerful part of the piece, the part that ties everything together, is the writing at the bottom, "For Lucy, my mom, my favorite immigrant." This is a piece of art that requires a lot of analysis and focus on detail to fully understand. My interpretation: A robotic woman in a dress has a head full of ideas that are coming out and being shared with the world, hence the ideas turning into letters and paper airplanes. The umbrella is spraying out different colors of "ideas" than what is coming out from the woman's head, perhaps darker thoughts. I also like that the airplanes extend to the sidewalk on the bottom; it gives off a continuation vibe, that art has no boundaries and is not confined to any one space. This mural requires a few steps back in order to see. The Milwaukee-based artist, educator and public speaker challenges the viewer's eye with visual paradoxes. Colorful, outlined shapes come together to form what seems to be a woman in a hat with her hands out. Smaller people are hanging off her hands, and there seems to be flowers as well as sun coming from both sides of the work. The metallic color scheme is just beautiful, and lets this piece shine – literally and figuratively. A spherical, gold ornament hangs on the side of the work with the title engraved on it. This art was completed last year, but now, a platter and a silver spoon with added teeth accompany it. A heart and blood splatter was painted on the 3-D additions, as well as the title and artist. 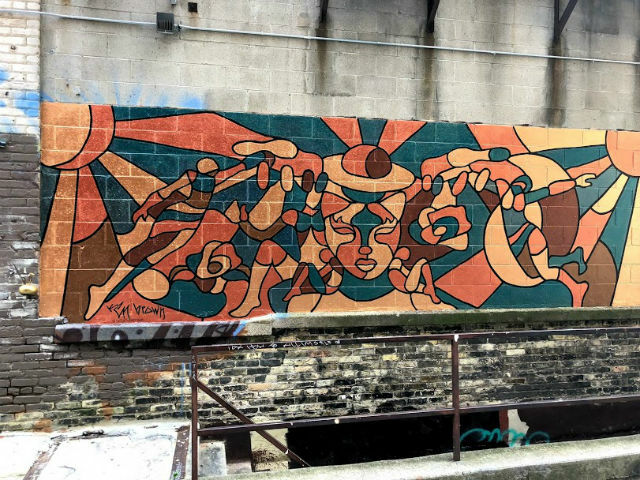 In addition, "Milwaukee Gaia Buddha" by Tia Richardson was extended recently, complimenting the half already there. A bench was placed next to the new portion of the work. This area of Black Cat Alley is arguably the most peaceful. 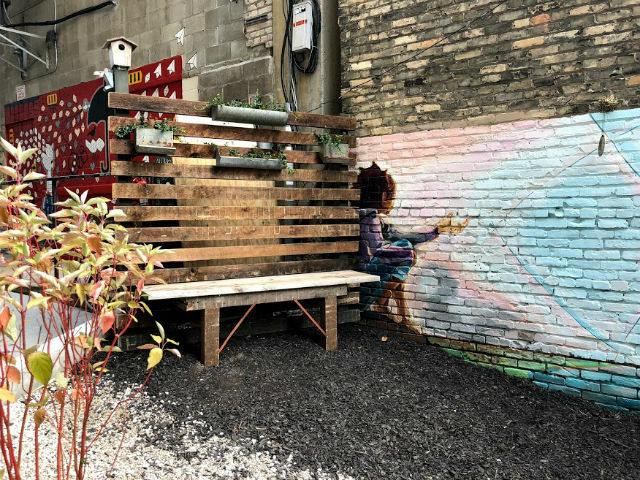 With plants both in the ground and near the bench, the scenery provides a spot to sit and enjoy being surrounded by creativity.